This howto explains you howto install the HgEclipse plugin on MacOS X. 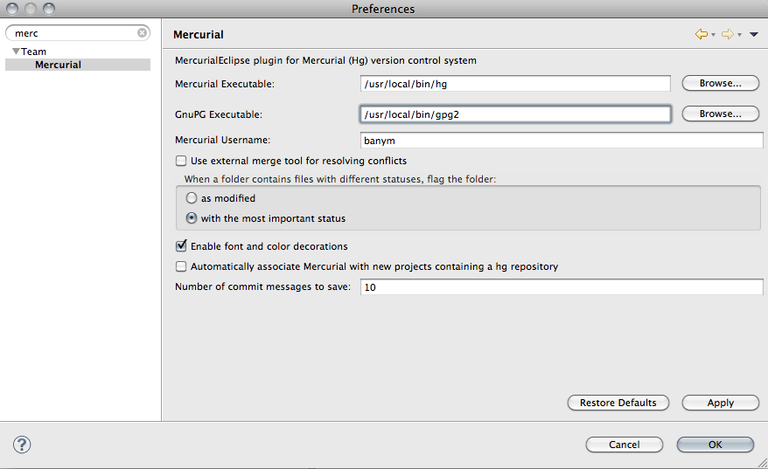 This howto explains you step by step how can install the Mercurial plugin for Eclipse on Mac OS X Systems. Eclipse should be setup and running. 1. We install Mercurial on your system. 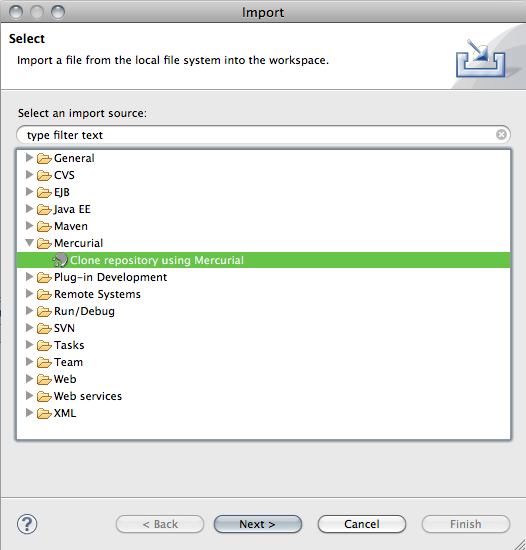 You should have the newest Mercurial version for MacOS X. Download the package here. 3. Install Mac GnuPGP on your system. Download the files here. Extract it and run the installer. After successful installation log out and login again. Now you should be able to use the plugin.